A beautifully framed Liquid Chalk Marker Message Board turns everyday notes, messages and drawings into an ever evolving work of art. 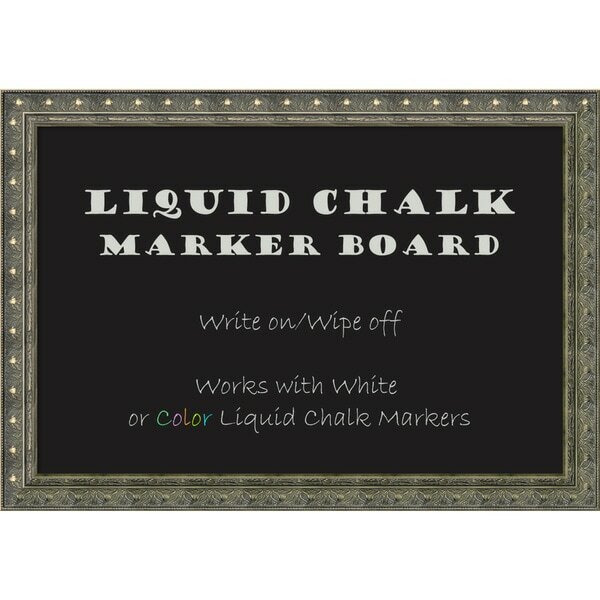 Works with only Liquid Chalk Markers (not included), wipes clean with a damp cloth. Will not work with traditional dry chalk. This chalkboard features a champagne-color frame with an ornate floral design and beaded outer edge.